Your home’s roof will at some point need replacement. Read our article for tips so you won’t be caught off guard when it’s time to replace your roof. 1. If your roof is more than 20 years old, it may be time to replace your roof. The type of roof you have will determine when it’s time to replace your roof. Asphalt shingle roofs are the most common and usually last around 20 years. Slate, metal, and tile roofs last longer than asphalt but are more expensive. When your asphalt roof reaches 20 years, know that it’s nearing time to replace your roof. 2. If your shingles are warped or missing, you probably need to replace your roof. Old shingles can curl and buckle from aging and wear and tear. When they get to this point, it’s usually because they are well past the time of replacement. Shingles can also lose granules towards the end of their lifespan. You may notice dark and light colored patches on your roof where the granules have fallen off. Pieces of shingles or granules may be winding up in the gutters. When shingles and their granules start coming off of your roof, this is a sign that it may be time to replace your roof. 3. If the roof looks bad, you may want to consider replacing it. Sometimes the roof just simply looks old and worn. Weather can play a big part in making your roof look bad. If you are a person that likes having a beautiful looking home, this will be enough to motivate you to replace the roof. A new roof works wonders for your home’s curb appeal. 4. If your roof is sagging, it is a serious issue. A sagging roof indicates structural damage of some sort. You can investigate the problems yourself, but the best option is to call a professional. Depending on the extent of the problem, you may need to replace your roof in order to prevent further damage, or worse, a collapsing roof. 5. When you can see light streaming into your attic (not from windows), you have gaps in your roof. You may also notice leaks when it rains. These are signs that you have holes in your roof. Most holes can be patched, but there are times when replacing the roof is the better option. 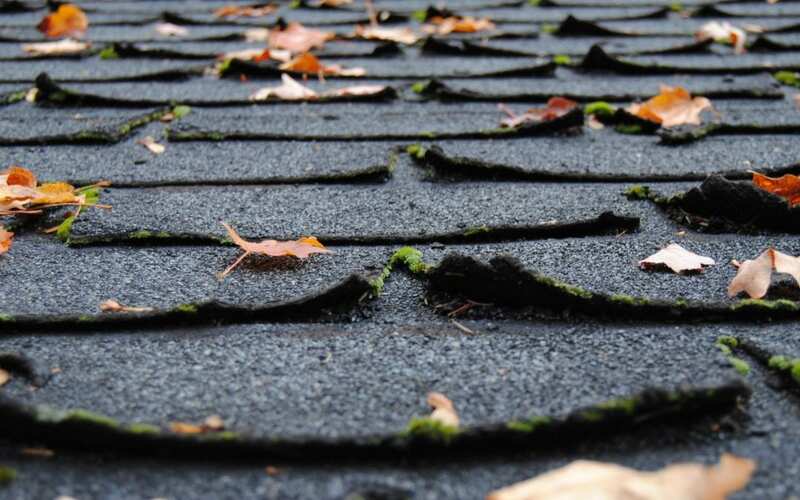 If you have an old roof, repairing it will only do so much, plus it would be a waste of money to repair it if the roof is near the end of its life anyway. Roofs have long lifespans, especially when well-maintained, but at some point, it will be time to replace your roof. Some people may opt to do a partial roof replacement. This can have its advantages cost-wise, but a full roof replacement will give you the best results and provide the best protection for your home and your family. Homebuyer’s Inspection Service provides home inspection services to Dallas-Fort Worth and the surrounding areas. Contact us to schedule an inspection.